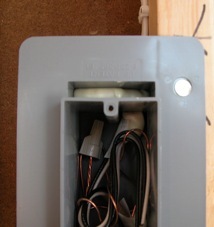 Top view of AIRFOIL® box after foaming chamber. 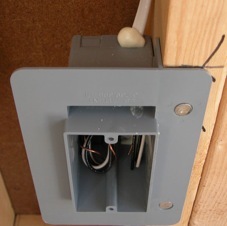 The sealing chamber foamed ensuring an airtight seal around wires. 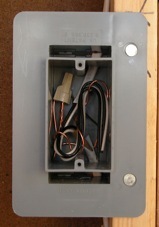 A properly installed and wired AIRFOIL® device box. 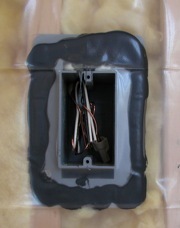 AIRFOIL® box with vapor barrier sealed to flange.